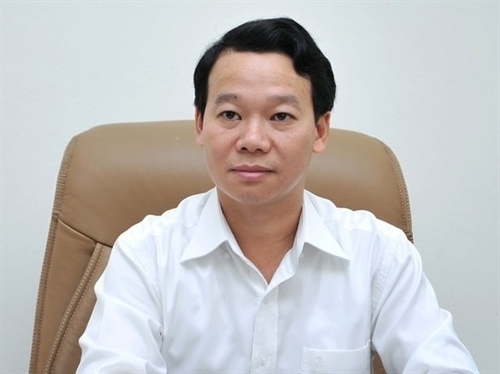 Do Duc Duy, Deputy Minister of Construction, tells Vietnam News Agency that they are determined to cut red tape even further to help enterprises grow. What are some of the steps taken by the Construction Ministry to help enterprises achieve their business development targets? After the Government issued Resolution 35 on Supporting the Development of Enterprises by 2020, the Construction Ministry (MoC) adopted an action program to implement it. We asked each unit in the ministry to come up with specific plans to realize the objectives of Resolution 35. We have also reviewed the obstacles enterprises are facing during implementation of the Investment Law, the Enterprises Law, the Public Investment Law, the Construction Law, the Real Estate Law and other laws. We have submitted these to the Government and relevant ministries so that they can consider due revisions. Regarding the Construction Law in particular, the Ministry has asked the Government and concerned agencies to simplify administrative procedures on granting construction permits and related documents. We have also created a website to receive comments and feedback. This is a very effective measure for promoting two-way communication between us and others. For the 2014-2020 period, the MoC has identified several key activities, including the equitization of state-owned enterprises (SOEs), divestment from non-core businesses as well as withdrawal of public shares from enterprises that the State doesn’t need to be their main stakeholders. Institutional and administrative reforms are very important for the country, but is there any way we can speed up the process, particularly those relating to the MoC? Formulating and issuing legal documents are key tasks assigned to us by the Government. We have tried our best to make legal construction documents more comprehensive, particularly the three main laws: the Law on Construction, the Law on Real Estate Business and the Housing Law. Issuing these three laws as well as their guiding documents have improved the business environment for enterprises and made the MoC’s functioning as a State management agency more efficient and effective. Our main aim is to have our legal documents make it easier for people and enterprises to do business, and gain more by cutting down their costs. In the course of streamlining the State’s administrative procedures, as of July 2016, the MoC had cut down about 30 per cent of paperwork required for key procedures, saving the people and businesses time and money. The MoC has asked the National Assembly to revise the 2014 Construction Law to further simplify the process of granting construction permits, cutting the time down from 30 days to 20 days. We have also proposed that the function of granting construction permits for special project be transferred from the MoC to the provincial People’s Committees.